September 8, an explosion occurred in the center of Kyiv. A car with Georgian number plate exploded near the Bessarabian market. 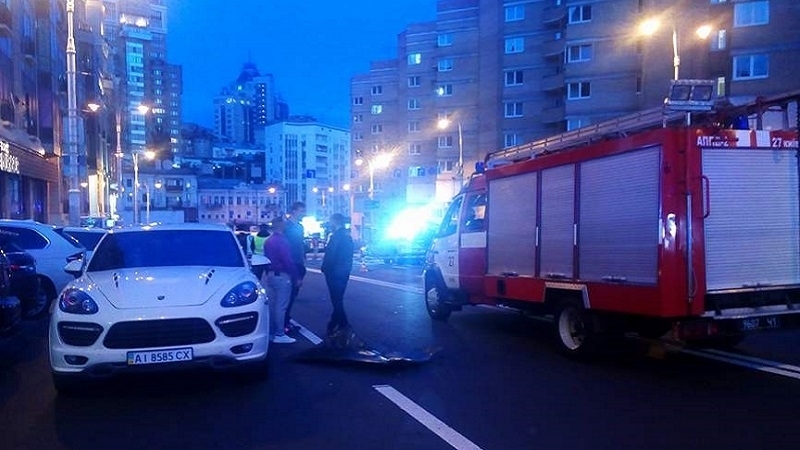 There were three people in the car: a man who died (Timur Makhauri), a woman who suffered serious injuries (according to media reports, her leg was torn off), and a child whose live is not threatened. Later there was information that the injured woman was a well-known Ukrainian model named Natalia, who, among other things, worked with the world famous firm Dior. In the car she was with a boy named Anton 6 years old. The doctor noted that now the woman undergoes intensive therapy, but she is probably facing a leg amputation. The dead was a fighter of the Sheikh Mansuri battalion - the Chechen intelligence officer Timur Makhauri. Friends of the deceased claim that he was Kadyrov's personal enemy. Press Secretary of the Ministry of Internal Affairs of Ukraine Artem Shevchenko noted that the explosion near Bessarabskaya Square in the center of Kyiv is an attempt on human life. “The explosive device that was in the car has detonated. A citizen of Georgia was killed. His identity is established ... He is well known in criminal circles - this is Timur Makhauri, a citizen of Georgia. He had connections with different Chechen circles. Earlier this year, he was prosecuted, but he received a suspended sentence because he collaborated with the investigation," the speaker told reporters. In connection with the incident, the police, together with the National Guard of Ukraine, are stepping up patrols in the center of Kyiv and the metro stations.